When political turmoil in China prevented Dutch traders from filling European orders for decorative porcelains, they turned to the budding porcelain industry in Japan. From the mid-1600s to the mid-1700s, vast quantities of brilliantly colored wares were shipped abroad. At the same time, the Japanese themselves developed a taste for porcelain. 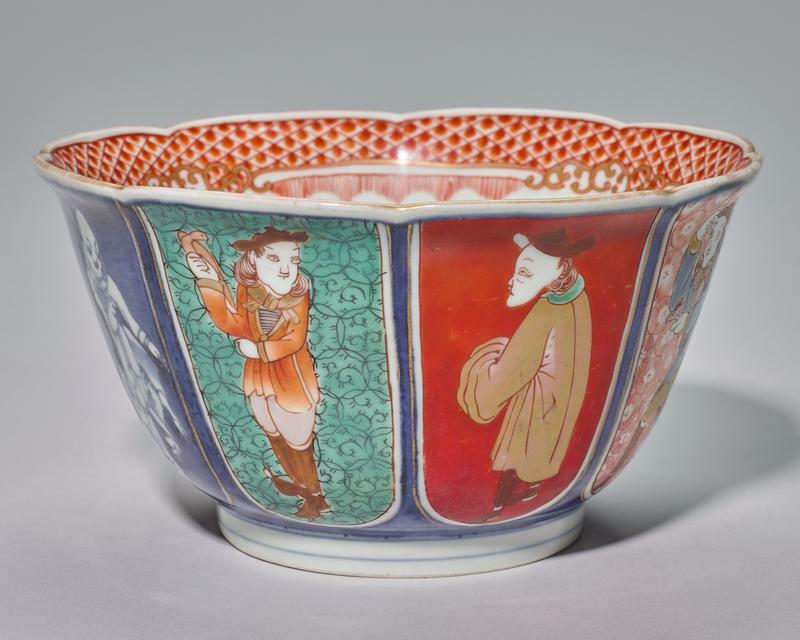 This bowl, with its amusing depictions of exotic foreigners, was undoubtedly made for the domestic market.